In many traditional cultures, it’s a common belief that a new mother is cold, and a lot of effort is put into warming up her body. Ayurveda (Indian medicine) explains this through the elements. When you’re pregnant you are full of earth and water and fire. You can probably feel that, because you’re hot and heavy and wet. After your baby’s born, you loose a lot of those elements, with the baby, the placenta, the amniotic fluid, and the blood. What your body’s left with is an imbalance of too much air and space elements, and air and space are really cold. There are many, many different ways of doing this, and all cultures vary a little bit in the details, but there’s a range of heat treatments, including massage with warm oil, saunas, and smoking ceremonies. 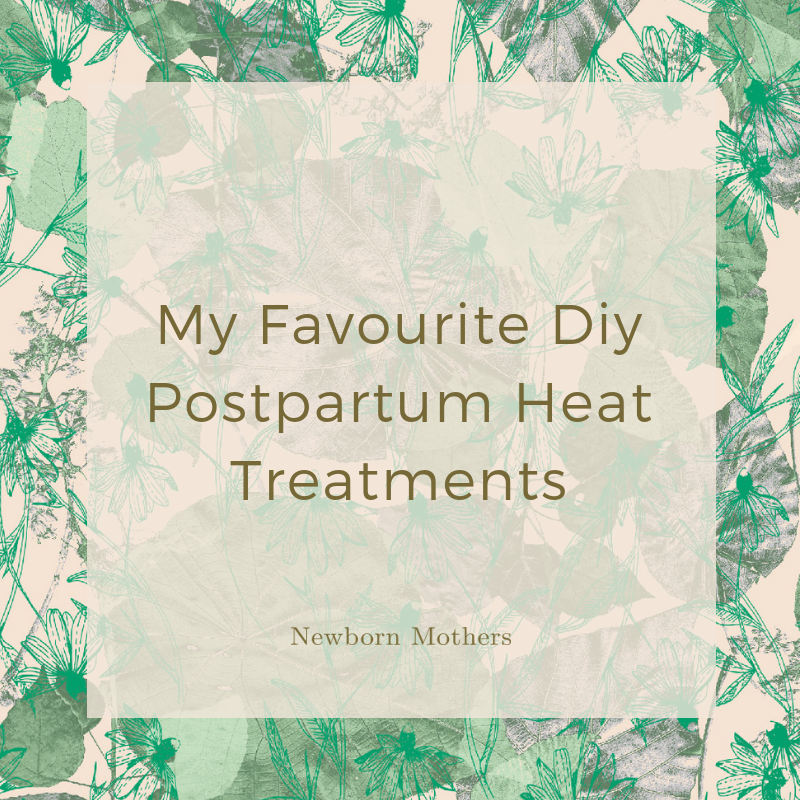 Obviously, most of these options are not available to modern mothers, so here are my three favourite heat treatments that you can DIY in your own home. So super simple!! Hot water bottles (or heat packs) are gold during the first few weeks postpartum. Sore back? Hot water bottle. Afterbirth contractions? Hot water bottle. Cold feet? Hot water bottle. Hip pain? Hot water bottle. Try it, you won’t believe how amazing such a cheap and old-fashioned treatment feels. Self-massage with oil is strongly recommended by Ayurveda. Oil helps to hydrate your body when your water element is low. Your skin is thought to be a digestive organ in Ayurveda, so it not only hydrates your skin, but organic black sesame oil is considered to penetrate all seven tissues of the body to lubricate you deeply and completely. For best results rub warm oil on your skin every day, leave it for a bit and have a shower. It’s that simple! Oh, my gosh aren’t baths the best?! If you can get someone to watch your baby for half an hour then take a bath. If you can’t, then take a bath with your baby! Hot water will relax all your muscles and ease your pain. Often breastfeeding in the bath is a great way to calm a crying baby too. To supercharge this heat treatment just add oil! In winter, sometimes it can be too cold to get naked and rub oil on your skin, so try doing your oil massage in the bath. Just hop in the bath and then rub your oil into your skin whilst you are there. Blissful!